The best way to maintain your project overview is ... clearly organized. This means that it is a good idea to archive projects that have been completed. We also recommend deleting any projects that weren't set up right or are no longer necessary. 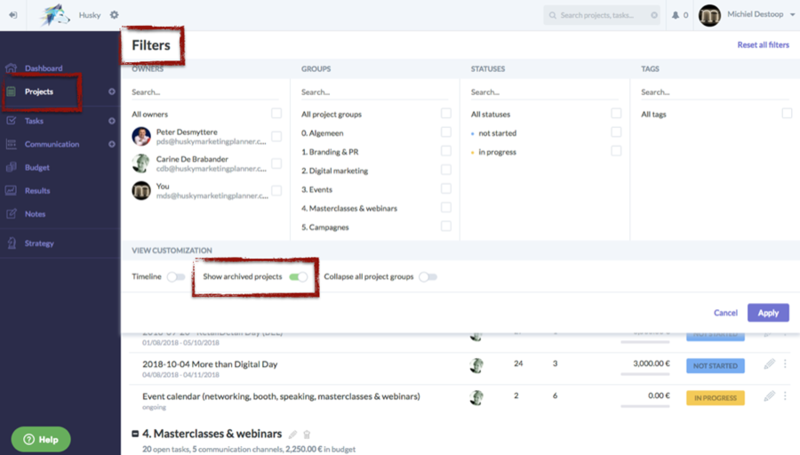 You will find both functions to the right on the project line in the project overview right behind the three vertical dots. When you delete a project all the information will be irrevocably deleted. Therefore, you should think twice before doing this. However, when you archive a project all the project information will be retained – the project will simply be moved into your archives. You will be able to consult it again whenever you want and still be able to make additions or corrections to it from the archives. You can also reactivate it, or you can copy it if you want to use the project information in the new project. 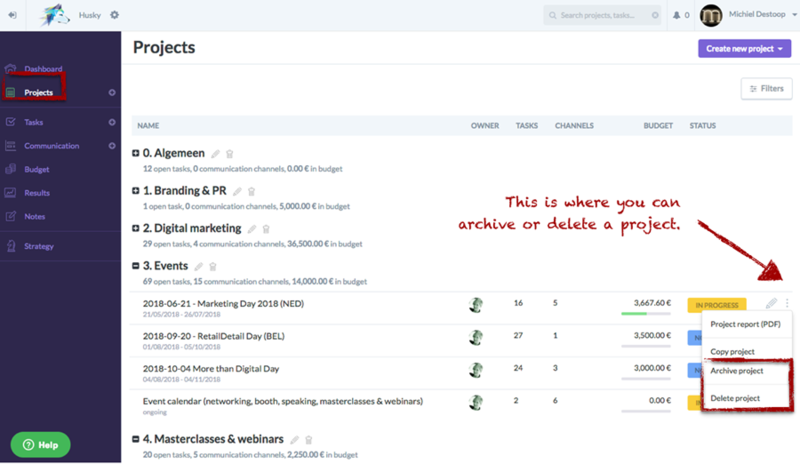 You will find the archives under the "Filters" tab in the project overview.